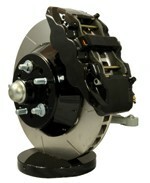 Our brake systems receive 'glowing' reviews! 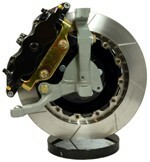 Please use this 'Quick Guide' to help navigate our brake system offerings. 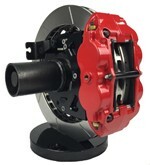 Listed by front systems first, increasing in rotor size, then by rear systems. To read more information about a particular system, just click on the systems part number or pictures. 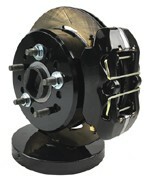 Perfect for street cars wanting an upgrade from drum brakes or heavy factory iron brakes. 1965-73 DRUM or DISC Spindles. 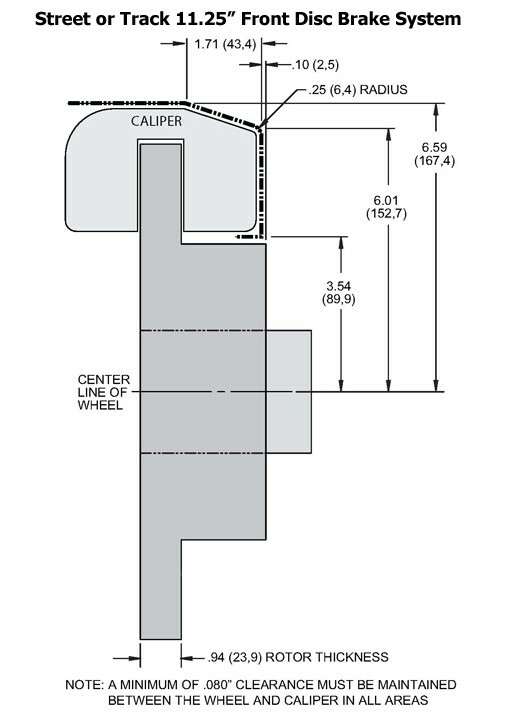 14" and larger wheels that clear OE disc brake wheels- verify with template below. 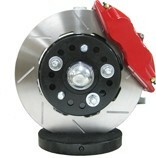 4 piston forged aluminum calipers are both lightweight and very stiff giving excellent pedal feel. Stainless steel braided hoses included further add to the consistent pedal feel. 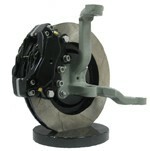 Street or track cars wanting or requiring period cast iron calipers. 15x7 and larger wheels - verify with template below. Period correct race car looks and performance. Vintage legal - check your rule book. Good pad selection for street or track vehicles. 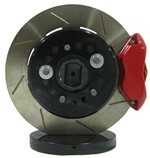 12"x1.25" Heavy Duty rotor has excellent cooling capabilities. 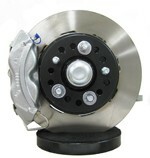 Street or track cars looking for exceptional braking performance that are not required to use an iron caliper. Forged caliper weighs only 7.2lbs loaded with pads. That is half the weight of our cast iron 'Trans-Am' caliper. Thick .800" pads for longevity and insulation to the pistons and fluid. Excellent pad compound selection available for every application. 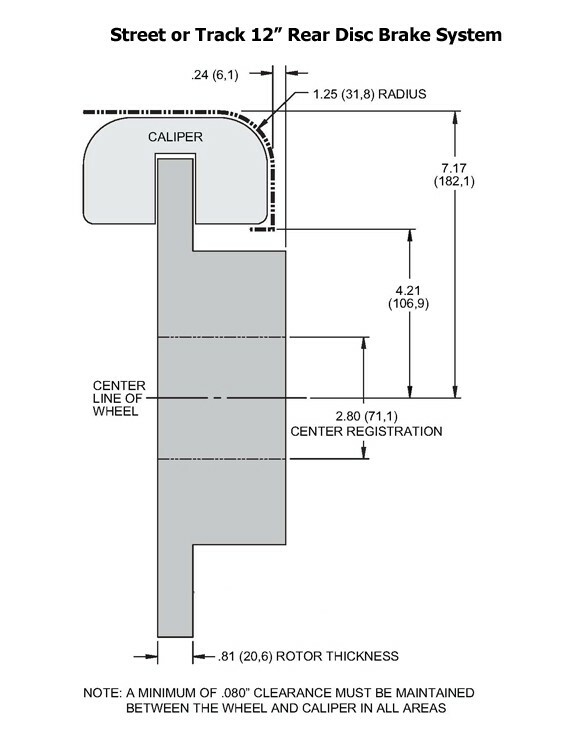 Calipers feature internal fluid crossover for cleaner, safer install. Lighter track cars when used on light to medium braking tracks. Ducting recommended. Some 16" and most 17" and larger wheels with positive offset and adequate spoke clearance - verify with template below. 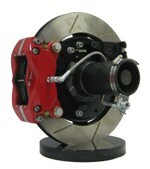 13"x1.1" Heavy Duty rotor has good cooling capabilities. Heavier and/or high horsepower track cars or when used on heavy braking tracks. 1965-73 DRUM & DISC Spindles. Some 16" and most 17" and larger wheels - verify with template below. 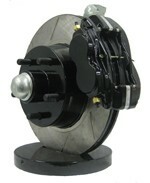 13"x1.25" Heavy Duty rotor has excellent cooling capabilities. High hat offset enables this system to fit the largest selection of wheels. 17" and larger wheels - verify with template below. 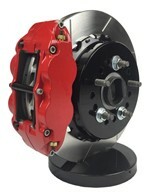 Forged 6 piston caliper with staggered piston bores eliminates longitudinal pad taper. Radial mount caliper reduces flex giving a very stiff platform and excellent pedal feel. 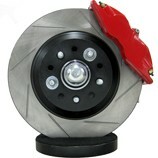 14"x1.25" Heavy Duty rotors have excellent cooling capabilities. Direct bolt on, super easy installation. 1pc rotor with black powder-coated hat. Drum in hat parking brake mechanism included. High performance street or track cars. Can be used on light to medium duty track cars with no pad knock back issues. 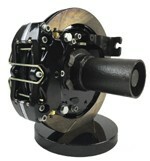 2pc rotor with black powder-coated aluminum hat. Maximum performance street or track cars. 'The' ultimate rear end system. Vehicle weight is carried on hubs, not the axle.